This year the season got off to a bad start. It rained. And rained. And rained. And then it rained a bit more. At my home we turned off the heating at the start of May! Provence was not a sunny paradise. 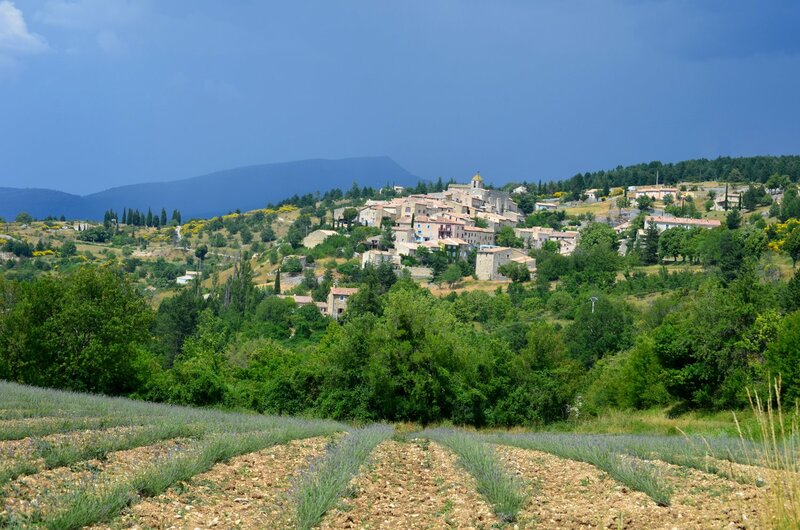 Then the sun did come out and dried the ground and thanks to all the rain Provence turned into a lush, green paradise. 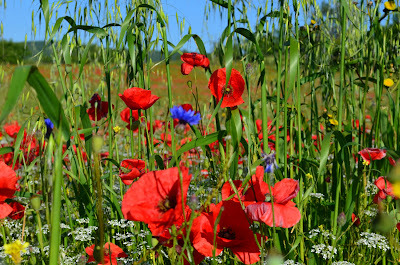 The poppy fields that normally appear at the end of May and run into June were two weeks late. The cherry harvest, normally over by now, is still ongoing. And the lavender is running at least ten days behind schedule maybe more and that is not so great for the lavender producers but for the tourists who want to admire Provence's blue gold it is fantastic, there should be lavender fields in flower to the end of July. True Lavender. 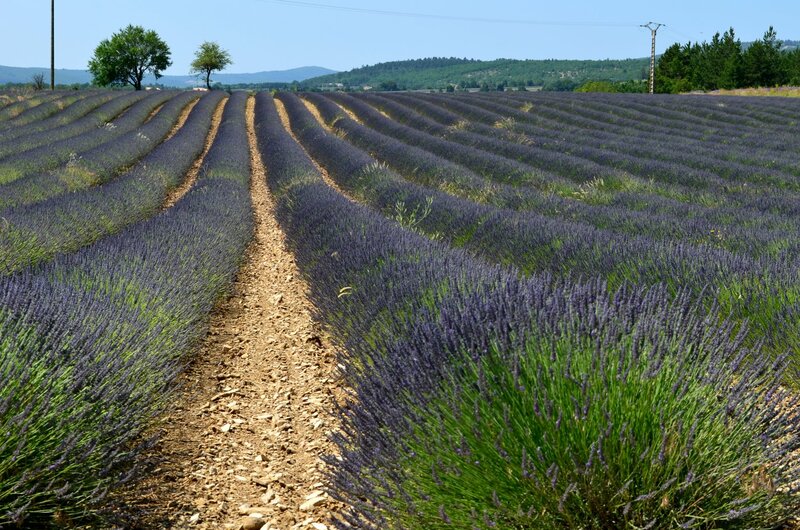 This is used in cosmetic production, perfume industry and aromatherapy. 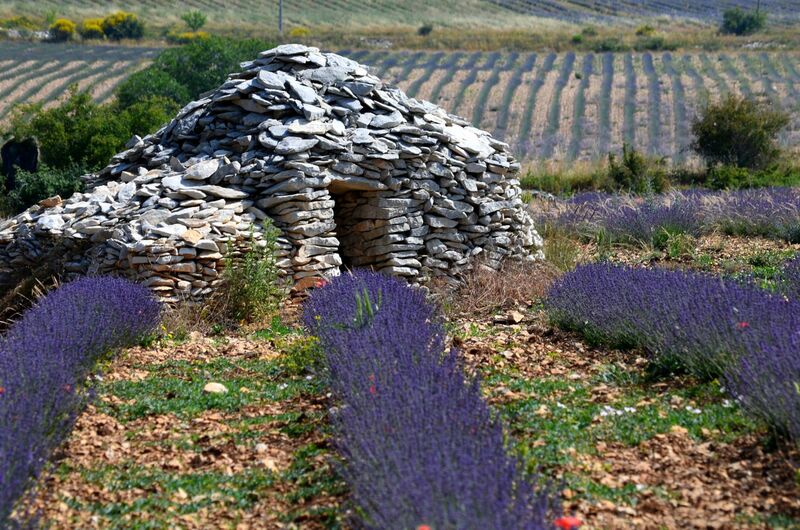 Its yield of essential oil is about 15kg per hectare (2.5 acres). 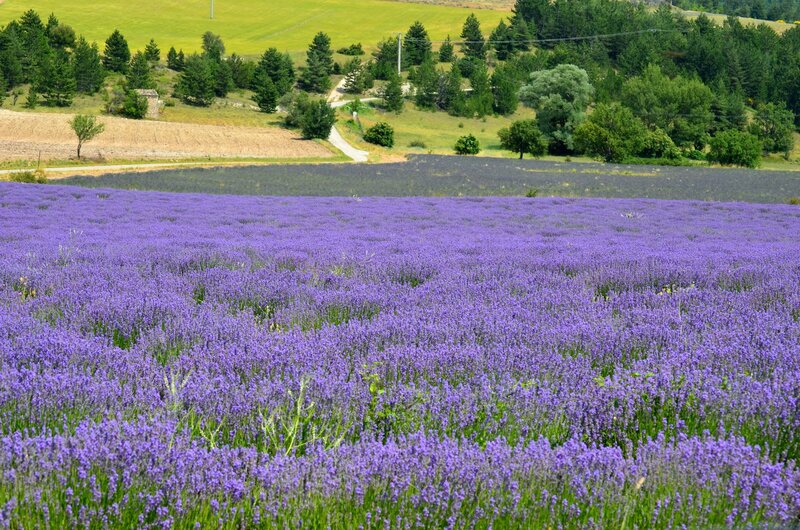 Lavande Fine or True Lavender grows above 800m in order to obtain the AOP (designate origin label). 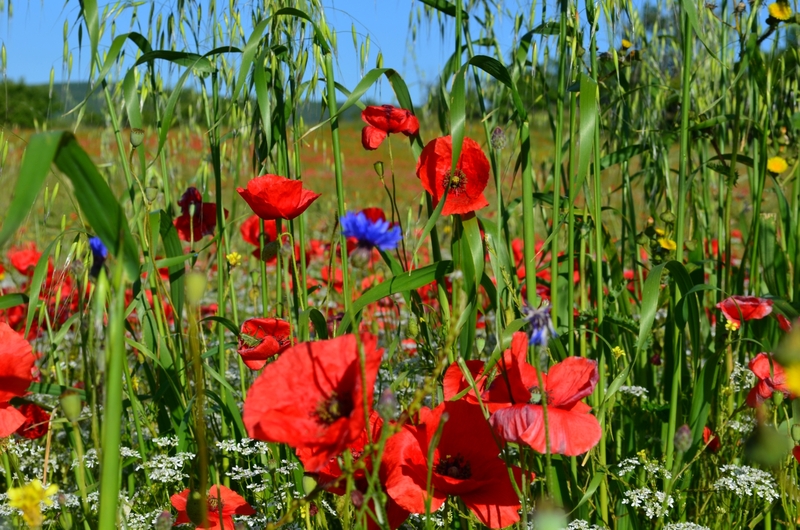 The colours can vary within the same field from plant to plant as each one is genetically unique. Lavandin. Used for industrial purposes mainly, soaps, washing powders, interior fragrances etc. 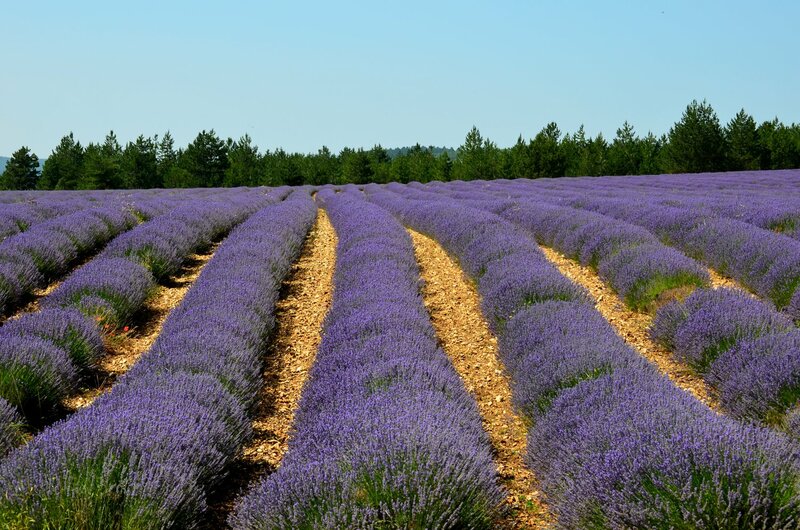 One hectare of lavandin produces 100kg of essential oil! 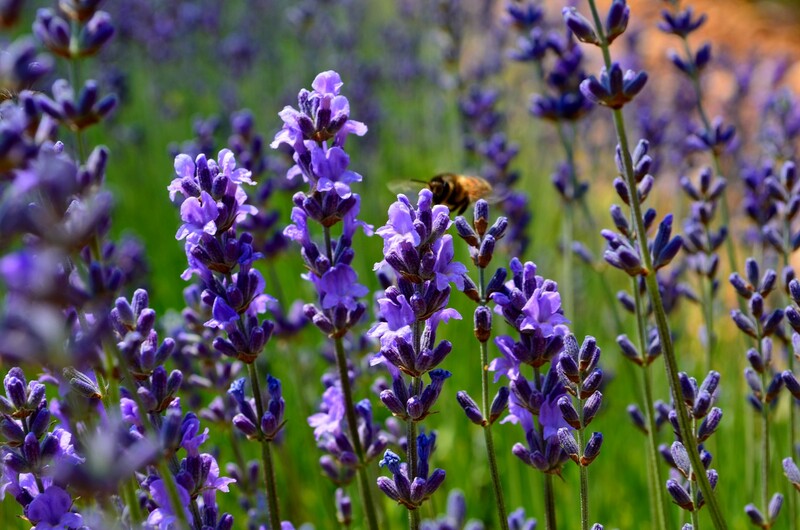 Lavandin is a natural hybrid from True lavender and Aspic Lavender. It has a higher level of camphor (8% as opposed to 1% for True Lavender) which makes it unsuitable for using on skin or in aromatherapy. So now you know what is what when it comes to lavender, here are the photos that I took today. True lavender in the foreground and Lavandin behind. Note how green the trees and fields are in the background. Spot the difference! 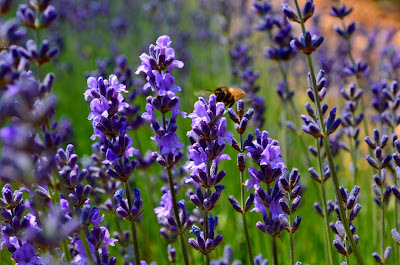 Lavandin and True Lavender. If you would like to visit the lavender fields of Provence I will personally be guiding private tours this coming month. Contact me using the link on the right. 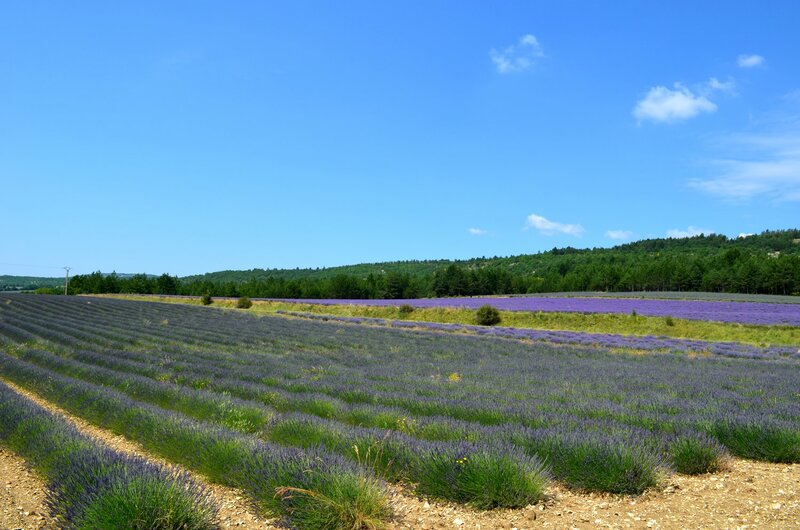 In the Footsteps of the Lavender pickers. 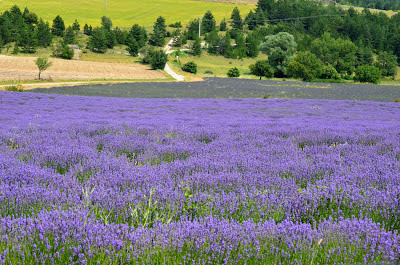 A bit of history, and how to distil lavender. New Lavender Photos. Also with some information on the threat that lavender is facing. ...and several photo posts as well.